We have a lot of hummingbirds in our yard. Years ago when I was planting the garden I specifically put in plants that would attract them. 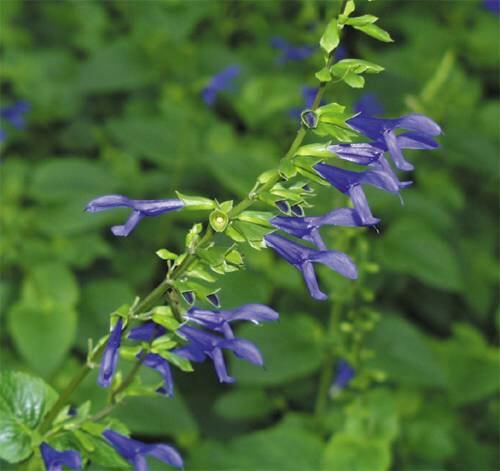 My favorite is the Mexican sage. I love these little birds. Last summer while we were sitting out enjoying the pool a hummingbird kept flying right in front of our faces. And then we discovered why. She had a nest in the tree right above us! We watched the little birds grow (twins!) and all was well until one bird fell out of the nest. But not all the way ... he got stuck and was hanging by his leg. It was heartbreaking to watch. The mom tried to feed him all the while he was hanging upside down. The other twin kept growing but the little hanging bird was not. We tried to let nature takes its course (aren't we told not to touch the birds or the mom will not feed them?) but we couldn't take it any longer. I actually looked it up online and it is okay to touch them. Apparently they don't have a very good sense of smell. So I put on a pair of gloves, plucked the little guy from the nest where he was hooked between the nest and his brother. He was so little! We fashioned a little nest for him and hung it just beneath the other nest. The mom seemed so confused. We were hoping she would continue to feed him. It seemed like she was but the other bird kept getting fatter and fatter and the little guy was not growing. So we took him to our local animal shelter and they arranged to take him to a hummingbird rescue. I hope he survived. This year we found another nest in a different tree and there were two eggs inside. And then one day the eggs were gone. Nature can be so harsh. So it was thrilling last weekend to find two little healthy twin hummingbirds, or chicks as they are called, nesting in the tree where the birds were last summer. This afternoon I went out to check on them and they were just sitting there so sweet. And then right in front of my eyes one flew away! ... while his twin tried to get the nerve to join him! Oh--I love this!!! 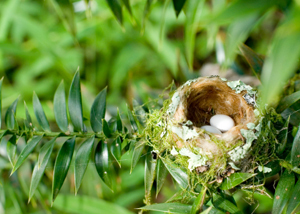 Hummingbirds are one of my favorite little birds---and that nest? They are talented little creatures. Oh my gosh...these are the cutest things I've ever seen. The baby...so sweet!! As of this morning we are officially 'empty nesters'. The 2nd baby took his first flight. Success! This is so sweet...just observing life right outside your window! Great photos. 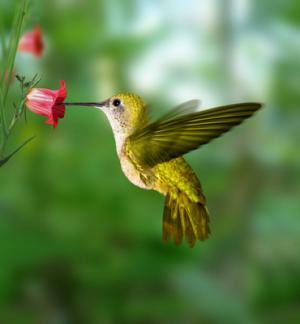 I HAVE HUMMINGBIRDS IN MY GARDEN, AS WELL. THEY ARE JUST SO PRECIOUS. How adorable are those little birds! I haven't seen any here in TN but my Mom feeds them at her place in Yorba Linda. They are so fun to watch. You got some great shots of them. I absolutely love these magical little creatures. Thanks so much for sharing these great pics and your story. It started my day off perfectly. Oh, my goodness! How sweet is this??? This is so cute, Sherri. Sweetie, I want to thank you with ALL my heart for your comment yesterday. It was so nice to hear from you. I can't explain how grateful to GOD I am! I felt so happy to be pregnant and now, for knowing it is a boy. I wanted a boy so much. I already have a son and daughter, as you already know and having this baby just makes our family complete. It's truly a blessing! Thank you for your support, Sherri! I love birds, birds' nests and birds' eggs! They are all so adorable! I love your images and story is so heart warming. Hope you have a wonderful weekend, Sherri!